This is a reprinting of Dennison's book on the Sabbath as understood by the Puritans. Dennison originally wrote this book as a thesis at Pittsburgh Theological Seminary for the late Dr. John H. Gerstner, and it was published in 1983. We have retypeset it from its original edition. In this book, painstakingly researched from original sources, Dennison shows the differing views on the Sabbath between the Anglicans of the 16th and 17th centuries and the Puritans of that same time period. He concludes that the Puritan view of the Sabbath is the biblical one. 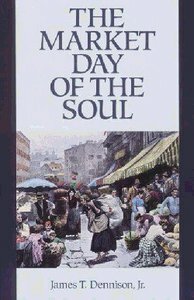 About "The Market Day of the Soul"
Dennison is Academic Dean of Northwest Theological Seminary in Washington, where he also serves as Professor of Church History and Biblical Theology.